This transaction provides CIT an opportunity to partner with an established renewable developer and we look to growing our relationship with Gestamp. NEW YORK--(BUSINESS WIRE)--CIT Group Inc. (NYSE:CIT) cit.com, a leading provider of financing and advisory services to small businesses and middle market companies, today announced that it arranged a $36 million senior secured credit facility to Punta Lima LLC, owner of the Punta Lima Wind Farm in Puerto Rico. The financing was structured through a sale and leaseback of the facility between Sovereign Bank, N.A. (owner of Punta Lima LLC) and Gestamp Wind. 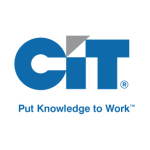 CIT Corporate Finance served as Sole Lead Arranger in the transaction and financing was provided by CIT Bank, the U.S. commercial bank subsidiary of CIT. Terms of the transaction were not disclosed. Punta Lima LLC is wholly owned by Sovereign Bank, N.A., which in turn is a wholly-owned subsidiary of Santander Group SA.